While manufacturers have traditionally been hesitant to invest in their operations due to cost, a recent National Association of Manufacturers (NAM) survey of more than 500 manufacturers reveals that 65% plan to increase capital spending in the coming years. Where is the money going to go? Experts predict most manufacturers will look toward revamping their facilities in order to adapt to the demands of today’s digital world. This adjustment, which many call the “fourth industrial revolution” or smart manufacturing, will move manufacturers from mass production to customized production via a digital supply network. The digital transformation, a melding of new technologies such as the Internet of Things (IoT), advanced robotics, Artificial Intelligence (AI), and 3D printing, is expected to generate more than $370 billion in net global value over the next four years. While digitization is helping to get more out of manufacturers’ materials and machines, what are the driving forces behind transformation? In short, customers, employees, and suppliers. According to a Harvard Business Review study of 75,000 people, the most important factor for customers is the reduction of effort; they want the products they interact with to be simple, questions to be answered fast, and information to be available when they need it. These expectations are changing the way they view traditional products and brands, opening up the door for competing manufacturers that have embraced the digital transformation. To stay ahead of the curve, keep customers, and attract new ones, manufacturers need to innovate faster and create products that are software-enabled and connected (think the smart car; today there are entire smart cities). Keeping up with shorter product life-cycles (PLCs) is also of the utmost importance. Today, a typical life-cycle between electronic variants and generations is going from 12-18 months to less than one year for many products (consider how frequently people upgrade their smartphones for the latest and greatest; even in the automotive industry, PLC has gone from 9 to 5 years). With PLCs getting shorter and shorter, manufacturing processes need to get faster and faster, and digital transformation is leading the charge. Finally, today’s customers expect higher levels of quality; when they drop hundreds of dollars on a new device, they expect a high-quality piece of technology. Digitization in manufacturing facilities introduces rigorous quality management and control, helping manufacturers to build better products. Disconnected employees lead to job dissatisfaction. Digitization helps manufacturers get the most out of their employees, and helps employees get the most out of their jobs. Digitization breaks down information barriers and departmental thinking allowing employees to do their jobs more effectively. However, there can be a lack of digital talent in many manufacturing facilities. While this is understandable in large, well-established firms, their position in the industry allows them to adapt at a slightly slower pace. Small and medium-sized manufacturers (SMMs), on the other hand, are under tremendous pressure to bring in tech-savvy employees that understand the digital realm, otherwise they become extremely vulnerable to competition from startups and other more agile companies that attract young digital talent in droves. But it’s not just about bringing in the millennials (and soon, Generation Z); after all, things are changing so quickly that much of what someone learned in school may be nearly outdated within a few years. So while bringing in new employees can be beneficial, manufacturers should also look at current employees who understand the business and the market. If those employees are excited to learn and mix their experience with new digital strategies, they may be the ideal candidate. Give equal opportunity to all, regardless of tenure. The age of an employee should also not be a factor; rather, the willingness to learn should be the determinant. Adopt a continuous learning program; as-you-go learning will be more successful than a trial-by-fire approach down the road. Pair newer, digital natives with tenured, experienced employees so they can learn from one another and transfer knowledge. To stay agile, resilient and responsive, manufacturers need to be able to easily communicate with suppliers and partners across geographies before integrating a product into their delivery supply chain. Today, manufacturers are also extending their value chains to external collaborators for everything from product design and development to sales and service. However, many of these functions still operate within a silo rather than working together harmoniously. Digitization brings down those walls, so that manufacturers, suppliers, collaborators, transporters, and yes, even customers, become one seamlessly integrated ecosystem that is fully transparent. Procurement. Closer connections can be formed with suppliers and partners to aid the planning process, improve sourcing, actively manage supplier risk, and boost collaboration. This helps support the manufacturer’s long-term plans for growth, innovation, and sustainability. Transparency. Manufacturers will not just react to disruptions but be able to anticipate them, modeling the network, creating “what-if” scenarios, and adjusting the supply chain immediately as conditions change. Analytics. With immediate access to data, manufacturers gain an clear understanding of how well they are handling operations with metrics related to speed, inventory, and finances. The future is now. 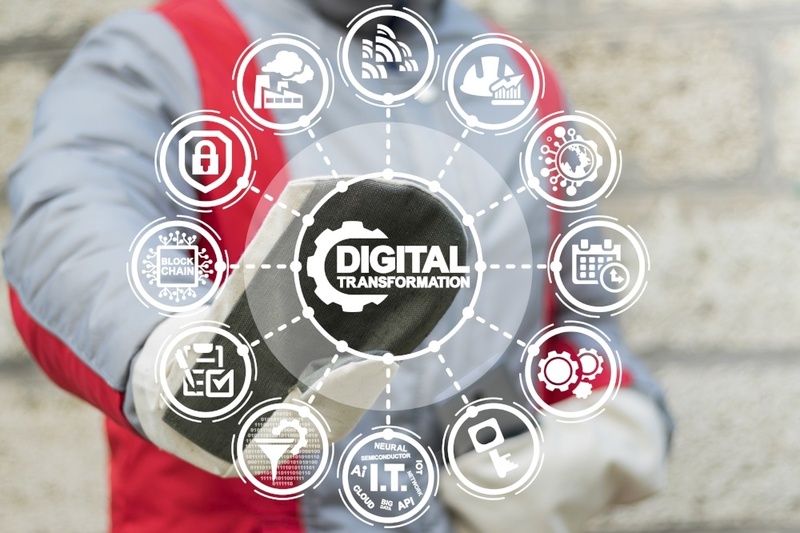 The digital transformation is upon us, and it is giving SMMs the opportunity to build their own smart facilities in order to better serve their customers, engage their employees, and collaborate with suppliers. Those who embrace this fourth industrial revolution—smart manufacturing—are sure to thrive, while those who do not may be left behind. If you haven’t already done so, consider re-investing in your business through digitization, and start manufacturing smarter, not harder.